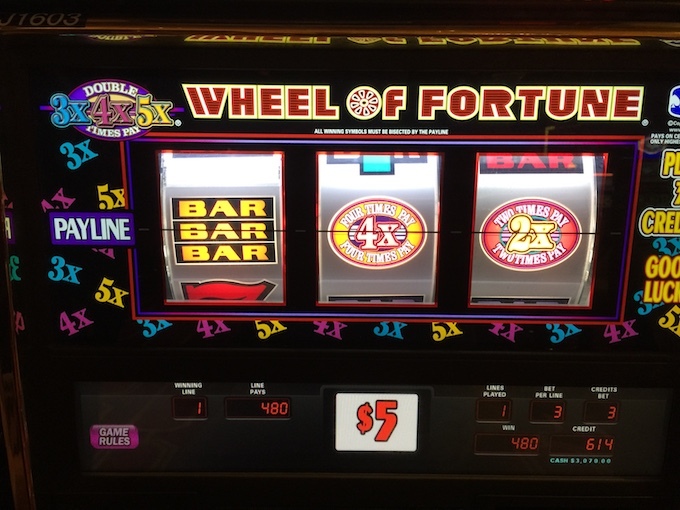 This blog continues our journey of winning strategies for slot machine casino gambling. Here, I’ll be explaining to you 3 easy high roller slots tricks. Now, please understand I’m not trying to turn you into a full-time high limit slot machine gambler! Not at all! As I’ll explain, there are some very inexpensive slots winning strategies which can be applied to more than just low limit slots. They can also be rather cheaply applied, with only a few bets, on a $1 to $5 denomination high limit slot machine. The 3 tricks you should know about involve applying a few of the winning strategies I’ve already discussed, as well as a new slots strategy, winning strategy #6, I’ll be explaining in full momentarily. Here goes! How Long Does a Slot Machine Need to be Idle? Play High Limit Slot Machines When Appropriate – Carefully! One interesting pattern I’d noticed at a relatively medium-sized casino had to do with a simple observation. At this local casino, I noticed that I would win once when I first sit down, but not win again for some time. This is a slots strategy I have mentioned before, specifically Winning Strategy 1: Only Win Immediately or as I talk about on my Professor Slots podcast episode #23: Winning Strategy 1-Maine Slots 2018. By using this approach, we can take advantage of a common practice found at many casinos, where they provide an initial winning taste. 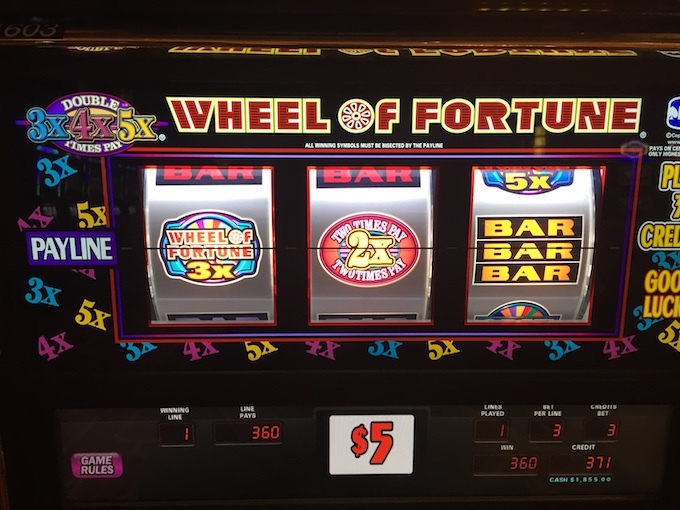 The first dozen times I visited the high limit slots area at this small, local casino, I found it odd that I would win a jackpot during the first few pushes of the button. But, then, I would literally spend thousands of dollars without so much as another hit. I don’t mean I wouldn’t have another taxable jackpot, but that I wouldn’t win anything whatsoever. It just seemed … odd. Or, put another way, it was statistically unlikely to be randomly happening so consistently and often, visit after visit after visit. Professor Slots podcast episode #19: How I Won a Car-Iowa Slots 2018. As a second aside, the money I was spending was actually significant slots winnings from another local casino where I was consistently making quite a profit using Winning Strategy 7, the topic of my next blog article. 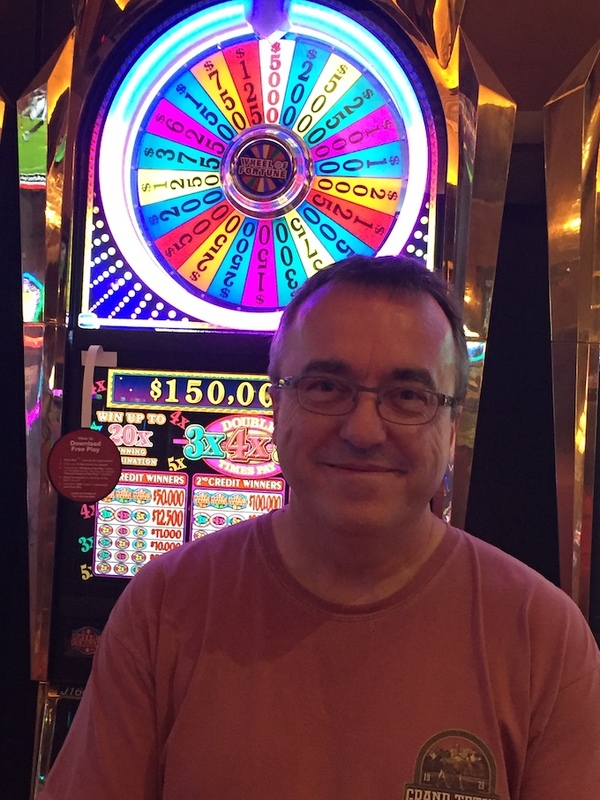 Getting back to the story of what I learned and how I learned it, at the time I even struck up a conversation with one of the slot operators. In our helpful conversation, I asked them when were people winning jackpots and on which machines were they doing it? This slot attendant helpfully told me about a slots player who had recently simply gone from one machine to another winning about 8 total jackpots in a row in the high limit slots area. I found this other slots player’s approach very intriguing, to say the least, and have since tried to employ my Winning Strategy 7 alongside playing each machine up to 5 times. By doing so, I’ve found that my annual return for this strategy alone resulted in a 150% profit over my original bankroll. However, I’d only been using this strategy for 4 months since this casino opened, and felt I’d need to continue doing it for about a year in actually be convinced that it wasn’t either temporary or due to having limited data. Today, I see this as an error on my part, and probably a serious loss of winnings. Winning slots strategies exist, and you can find them yourself – if you can believe your own eyes. The area most people get stuck on is this: They don’t believe these strategies are possible, and it’s hard to try it yourself they do when you’ve already convinced yourself it’s impossible. It doesn’t help that most winning strategies are relatively new, and based on the new casino technologies that started being installed in new casinos since 2012. Getting down off my usual soapbox, and back on topic, I have found this combination of winning strategies to be the cheapest approach yet to slot machine gambling, while resulting in the highest profit margin. Using it at my local casino required only $500 per visit and $250 in return on most visits without a taxable jackpot. But then there are the taxable jackpots won, which are more than a few of the typical jackpot winnings on high limit slot machines. As I’m sure you understand, a single $4,000 taxable jackpot pays for a number of subsequent visits. Again, so far this is all further storytelling about the experiences which resulted in my discovery of Winning Strategy 1 and how to best use it in conjunction with another winning strategy I knew of. But, next, I learned a strategy I didn’t already know. By using these known strategies, yet another strategy grew out of them. It’s easy, simple, and quite inexpensive. And, it’s completely counter-intuitive to what most slots players will tell you what do to. But, because they feel this way is the reason why it works. Basically, slots players will tell you it is important to check the machine’s last play. If it shows a winner then, in general, skip that machine. Don’t play it, is the common advice. I say phooey, but with a small caveat I’ll pull from Winning Strategy 1. My third trick is this: If a slot machine is showing a win, BET ONCE. However, avoid that machine if it’s been played recently. For this to work, if it is going to work, a slot machine showing a win needs to be idle for a while, and probably hasn’t been idle if its chair is still pulled out. That the chair is still pulled out is a wonderful clue it was used fairly recently. Why does this work? 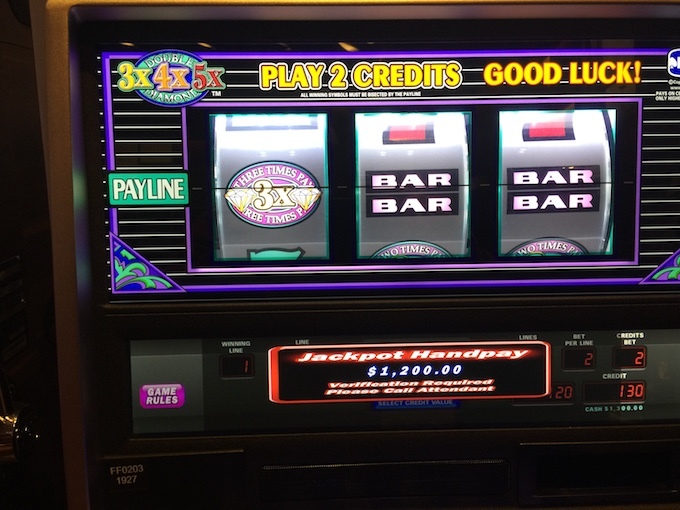 At some casinos that set up their slot machines to offer an initial taste, the first push of the button of a high limit slot machine will win either a “small” nontaxable jackpot worth several hundred dollars or a larger taxable jackpot over $1,200. For example, I happened to be in the casino one Saturday evening, to take care of some tax paperwork having to do with winning a car the night before, and noticed that one of the $100 high limit slot machines was showing a $1,000 win. I didn’t think much of such a small jackpot, as it was not even taxable, but it was something I noticed. When I went back to the casino the next morning, I noticed that that same machine had the identical winning reel combination showing on it. To me, this indicated that no one had played that machine for just over one day. At first, I didn’t think much of it. But then, standing there looking at it, I got to thinking about my strategies. And, standing there thinking it through, I learned something. Previously, my strategy was to not play any slot machine if it showed a win. But, I started to think, what if I was winning at one push of a button on machines that simply hadn’t been played for some time? Was this perhaps a refinement of a known strategy? As usual, theory metaphorically in hand, I decided to test it. 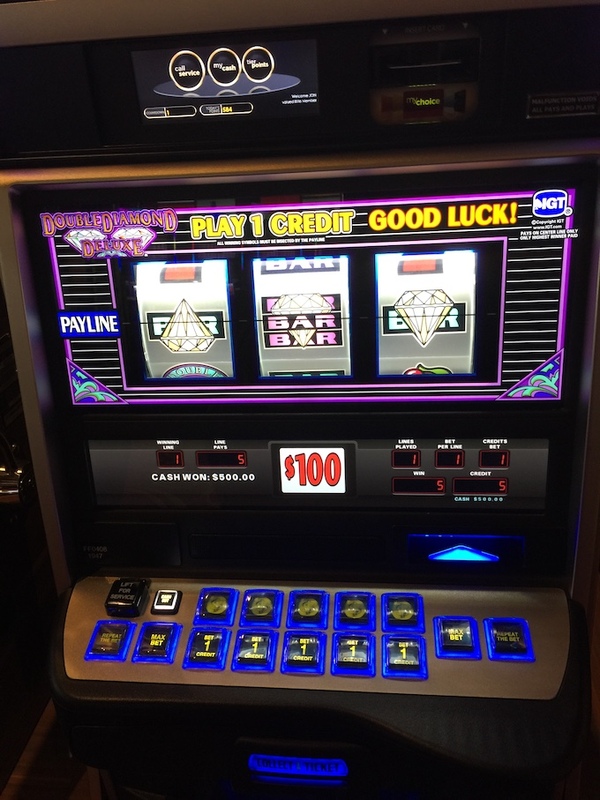 I walked over to the $100 machine showing the $1,000 win, placed my player’s card along with $100 in the machine, pressed the bet button, and immediately won a $5,000 taxable jackpot. To date, this is the only time when I’ve won any taxable jackpot on a $100-denomination slot machine. Although, using this strategy at the same casino, shortly later I did win $500 with a single 1-credit bet on another $100 slot machine. One loose end with using this strategy is the question of how long does a slot machine need to be idle for it to turn into a winning slot machine via this strategy? The simple and honest answer is: I don’t know. But, consider my observations. I’ve found more slot machines are winners with this strategy if I attend the casino on a Saturday morning (especially after a busy Friday night) or mid-afternoon on Sundays. That’s because these are typically the longest times when slot machines aren’t played, and being idle for some time matters. But, how long does it need to be idle, you ask? I’m still piecing together clues about this. Another clue comes from Eric Rosenthal, from whom I have second-hand information. Apparently, he knows someone he trusts from within a slots manufacturer who told him that slot machines reset whenever a voucher is printed. That’s interesting. If true, it means idle means no time at all. So, that information alone may be enough to tell you how long idle is – but I just don’t think so. Why? Because, I’ve seen 30 minutes work when an immediate next player did not. Other times, I’ve seen it work only after it’s been idle for hours. Another area of uncertainty is maybe, more like probably, different casinos are set up differently. But, I have put some effort into trying to figure this out. After some thought, one week later I went back to the casino and took handwritten notes of all the current spin reels showing on all the high limit slot machines at that casino. Slightly over a day later, I went back to that casino with the intent of executing the usual strategy but brought extra cash with which to push the button once on any high limit slot machine still showing the same reel spin from the previous day. Unfortunately, that day was a beautiful day in January with moderately high temperatures not seen in months. Somehow, for this reason, the casino and high limit slot machine room was incredibly busy. I mention this because, when checking the reel spins on each slot machine not in use, I found that ALL slot machines had been played. I then went ahead playing my usual strategy and, to my slight dismay, I didn’t win a single time despite four immediately prior visits where I made 50-60% over the bankroll I’d brought. What I learned from this confirmation, such as it was, was that it was likely the wins I had been seeing previously when using my unrefined strategy of 5 pulls then stop was occurring on slot machines which had not been played for a while. That is to say, I had been winning on idle slot machines.. So, during busy periods in the high limit slot room which, by the way, isn’t necessarily the same times when the overall casino itself is busy, I learned that I shouldn’t use this strategy. Not then, anyway. All I can really say is, where casinos have set up this winning strategy, winning slot machines need to be idle for a while. This bit of information may not seem like much – but it’s something once considered impossible which evidence now suggests isn’t any longer. And, being the savvy slots enthusiast I know you are, I expect you’ll make the most out of it. So, let’s continue to talk about getting the most out of my winning strategies. Really, the whole point of these specific strategies is that they don’t require much money to try out. Not to be too blunt about it, why wouldn’t you try out cheap strategies in the high limit slots area? I suppose I first noticed this myself at Seminole Brighton Casino in Florida earlier this year and then again at Foxwoods Casino in Connecticut in April. Only afterwards did I think, while I’m here why don’t I try out the winning strategies I’ve just figured out in the high limit slots area? Unfortunately, this idea came to me only after I left both places. But, here it is for you. If you have figured out a winning slots strategy that appears to work at a casino, consider trying it in the high limit slots area. This is especially true if the specific slots strategy you’ve found to work outside of the high limit area doesn’t require much bankroll to win. If only a small bankroll is required, or if you’re willing to risk a larger bankroll if it doesn’t, consider one way to optimize your strategy – by bring it into the high limit slots area. Carefully, of course. For those who have read my blog article Seminole Brighton Casino Florida Trip Report, these follow up thoughts for using a working strategy on high limit slots should work quite well there. However, for those who have read my blog article Easily Win a Little at Slots at Foxwoods Casino Connecticut, I’d caution against this approach there. As Dr. Mike from the You Can Bet on That podcast very well knows (I was sitting near him at the time), you can win a couple hundred dollars on a high limit slot machine there within the first few bets. But, the problem is, you can do the same thing on a low limit slot machines. So, use the winning strategy I described outside of the high limit area to bet less for the same winnings. Your profit will be larger. In summary, I’ve pointed out the easy application of two past winning slots strategies, along with a new winning strategy, which would require only a few bets on a high limit slot machine. From a high level, the 3 easy high roller slots tricks I’ve outlined are simply pointing out that the winning strategies you worked hard to uncover at the casino you frequent can be leveraged, perhaps even optimized, in the high limit slots area with relatively little risk. Because, finding that a winning strategy works is a huge accomplishment, for which you should be proud to have uncovered. But, don’t stop with finding it, even if it was with my help. Your next step is, as always, to work closer to accomplishing your gambling goals. If your gambling goal is entertainment, as with more slots enthusiasts, then getting a W-2G for having won a taxable jackpot would be terribly exciting. I know my first W-2G was very exciting and, quite honestly, you never really get tired of winning them. If your gambling goal is earning comps, then you’ll certainly earn players clubs point by making bets on high limit slot machines. But, more importantly, some or all of winnings earned in the high limit slots area can be spent on low limit slots. Finally, if your gambling goal is winning take-home money, well … you’ll earn that money with little cash spent – if, as always, the casino you’re at has been set up by their operator such that one or more of these approaches will work. Previous: Reliable Holiday Patterns (Winning Strategy 5) – A special kind of casino special event are reliable holiday patterns, when the crowds that show up at most casinos on major, and not so major, holidays dwarf those typical special events. Like casino special events, holidays have an associated winning strategy having the financial result of improving your gambling performance. 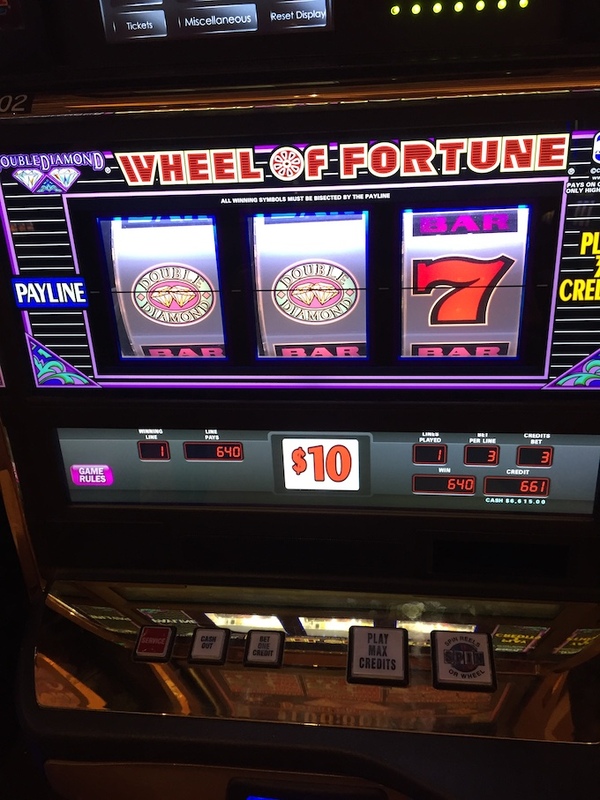 Next: Win, Walk Away, Return Later (Winning Strategy 7) – Winning strategy #7 is my own best personal slots strategy I first used to win jackpots and cycle bankrolls for players club rewards points. With it, you’ll sync your own slots gambling sessions to a specific casino’s operating rhythm for a week. Win, walk away, return later. One week later, that is, for better winning odds.